Gymbia offers a ecliptic range of small group classes with a strong focus on meaningful progression, intelligent programming, bespoke exercise tuition & education. Our small groups are taught by expert coaches who customise & adapt each class on an individualised basis & seek to make each session fun, meaningful & empowering. We use an integrated holistic approach at Gymbia with classes covering cardiovascular & strength training, postural correction, body development, combat, meditation & yoga with each class planned for optimum results. We ensure that the groups are small enough to allow each person to thrive, but large enough to create a motivating community driven atmosphere. You have a direct line to work with your accountability coach on a regular basis who will support & guide you through your journey - Our job is to teach, motivate & inspire you to get the very best out of your experience with us while giving that extra push when you need it. As we are not a gym we take a large step away from the usual offering of HIIT, Body pump & Boxercise classes found in most fitness studios & gyms instead offering a unique & specialised experience in an intimate environment. Our signature small group classes are instructed by experts in their respective fields in functional exercise, rehabilitation, movement & combat training. Class timetable, descriptions & booking can be found below. - 10:00am - Welcome To The Jungle! A class focused on stretch exercises, body alignment, mobility & postural correction exercises. You can expect to leave feeling limber, full of energy & with great alignment! This will be a challenging class to develop the mechanics of your system. This is very much an educational class - there is a different theme each week & we want you to walk away with tools that you can action straight away to improve the function & performance of your body. You can expect to be taken through a variety of dynamic movement patterns while pushing yourself beyond what you thought was possible. No two classes are the same with Alex being a creative genius - Gymbia very much turns into his laboratory during these classes! Alex is a master at progressing and regressing all exercises within his classes, ensuring that anyone of any ability can get involved for a solid and safe, yet highly challenging workout each and every time. Alex used to build obstacle courses for the Columbian army & then left the army to become an incredible dancer for 10 years so brings his unique experience & expertise into a fantastic fusion which comes across in the one of the most interesting, engaging & dynamic classes you will find. Human evolution has taken many twists and turns, however, one constant that has remained throughout, is our need and desire for movement. For our bodies to remain balanced & functional we need to give it what it needs in terms of movement & balanced exercise prescription. Our Primal Patterns Circuit Conditioning class is a class with a twist designed to do exactly that! Primal patterns are the base form movements from which all other movement stem - get really good at these & see the benefits in your strong, lean & functional body that will be perfectly prepared for the work & sport environment. Primal Pattern Circuit Conditioning gives you all the tools to create a strong, lean & functional body in a fun & engaging environment! This class is based around learning about various different spiritual modalities & disciplines & will give you the tools to form your own daily practice. The class will be different each time with us focusing on different aspects each session as well as guest instructors coming in to teach. BJJ is a beautiful, but formidable martial art, that originated in Rio de Janeiro, but has spread to global fame, largely in part to its success in the world of Mixed Martial Arts (MMA). Unlike a lot of traditional arts, it is something that can work in a real life confrontation, should you ever be faced with a predicament that requires you to protect yourself physically. Whilst this is something we all wish to avoid, it is always better to know how to look after yourself and never tap into the skill set, than be in a situation wishing you knew how to protect yourself without having the ability. With that said, learning the art will massively increase your confidence not only in terms of self preservation, but in all aspects of your life. It provides a great social environment, as the camaraderie experience amongst you and your training partners is unlike a bond you will experience elsewhere. Synergistic Striking is Gymbia’s signature combat technique class - you can expect to learn how to use the skills from various different disciplines such as boxing, MMA, Jiu Jitsu & really accessible & non intimidating way. Synergistic Striking is taught by Alex Oliver who has years of experience in many different modalities in the ring. He has a true passion for technique & incorporates elements of movement, breathing & mindset techniques into the class. Synergistic Striking will give you the ultimate confidence to protect yourself in a given situation in a class that provides the right atmosphere in which to learn these practical & fun skills in various techniques disciplines of combat. In the world of combat sports, it is often said “your best move is conditioning”. Never a truer word was spoken! The Warrior Workout will provide you with a fantastic cardiovascular workout giving you confidence in your ability & fitness to sustain the pace and outwork your opponent when times get tough. This class will not only sharpen you physically, but also mentally, with visualisation drills being an equal part of the class focus. We will work on your breathing, allowing you to push harder for longer, as well as other important aspects to get you to a high level of fitness. To realise your highest level of physical and mental preparedness, come to this high intensity class. This class is not for the faint hearted, you will be worked hard & feel amazing for it! We’ve got fun & games! Each WTTJ class will deliver something different, ensuring boredom will never set in, and you can expect the unexpected! 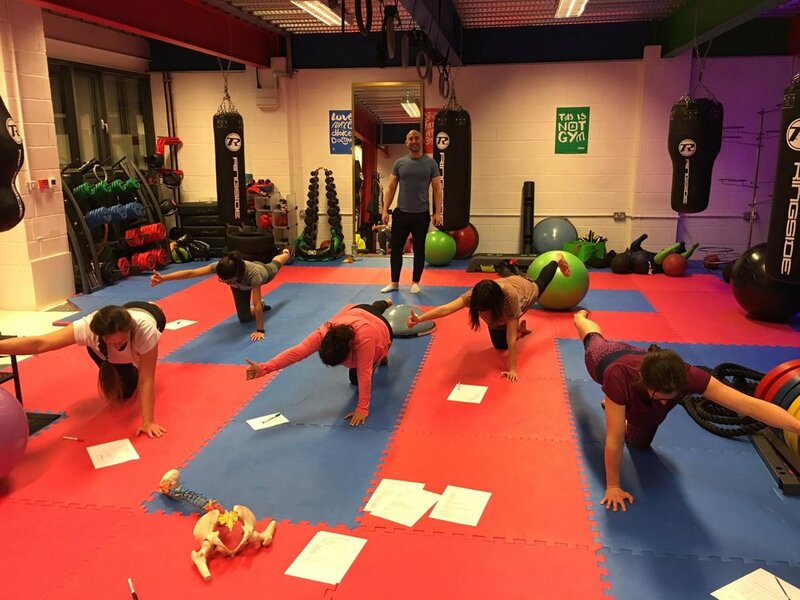 Alex likes to keep his classes fun and engaging, with activities that challenge the body and stimulate the mind while easing the body into flexibility & strength. You will be working through a number of animal flow systems designed to get you as strong as an ox, as flexible as monkey, as fast as the condor and as supple as the jaguar. Intimate classes - we cap our classes, ensuring our trainers can give you the attention you need, and you never feel like you’re just a number. Appropriate exercise alternatives - our coaches are experts at understanding your individual capabilities - they will give you alternatives to each exercise where necessary, regressing or progressing the exercises, depending on what you need. We will instruct you on proper technique, and how to use each piece of equipment in order to help you develop proper technique and avoid injury. 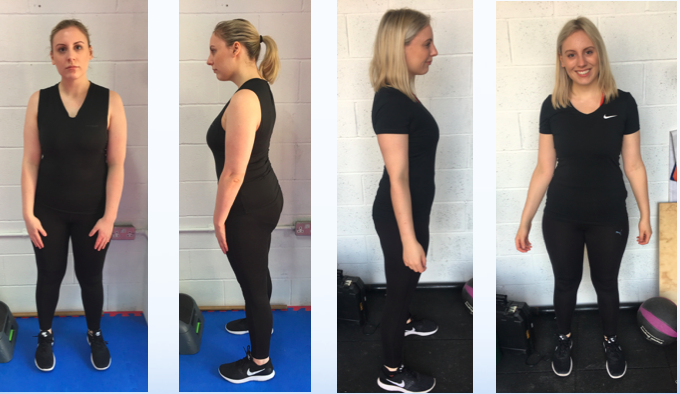 Expert support in nutrition & lifestyle including individual diet plans - Your accountability coach will guide you through what can sometimes be a maze of fitness & nutrition through individualised advice & attention for a fantastic result every time. We provide tailored dietry & lifestyle solutions geared towards your individual dreams & objectives. Community atmosphere - - we pride ourselves on creating an environment where people feel comfortable and supported by others. Our clients regularly attend Gymbia socials and have developed a support network that helps motivate and drive towards success. Engaging sessions - our trainers like to keep things fun, meaning no two classes are the same, and you will look forward to your workouts every week! Expect the unexpected!